A pair of Bitcoin permabulls believes that the top-ranked cryptocurrency will reach new highs in 2018 and beyond. According to Anthony Pompliano, Bitcoin will reach $50,000 by the end of 2018. 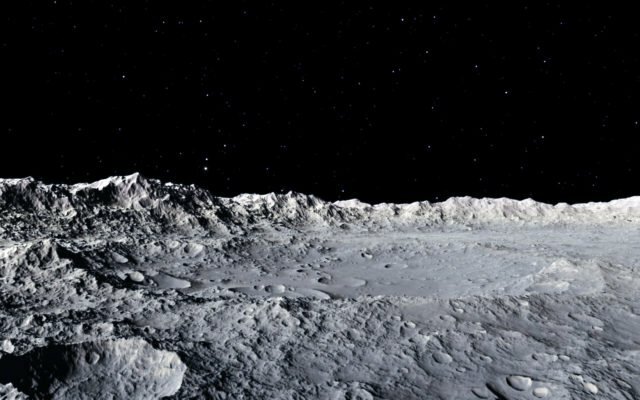 In a recent tweet, the partner at Morgan Creek Digital Assets declared that the remaining months of the year would be interesting from a price movement perspective. I’ve stuck to my $50,000 Bitcoin price target for end of year 2018. Pompliano bases his BTC price forecast on three cardinal parameters: human psychology, ETFs, and institutional investors. Concerning human psychology, Pompliano identified the palpable buzz and excitement in the market once any positive price movement occurs — as we’ve seen this week. He also said that people generally tend to like round figures, thus leading to a positive push between every thousand-dollar value. As for institutional investors, Pompliano reports that they are beginning to dip their toes in the water. Earlier in the month, Barry Silbert of Digital Currency Group (DCG) revealed that the principals themselves have been trading BTC for a while. However, the lack of custodial tools and clear-cut regulations have kept them from fully to committing hedge fund trading capital into the market. According to the Bitcoin Directional Movement Index (DMI), the recent price rally is nowhere near finished. The DMI works by showing the degree of divergence between positive and negative DMI as an indication of an asset’s price trend, which is expressed as an Average Directional Index (ADX). Presently, the ADX for BTC is almost 25 — which is a positive sign for the bulls. A lower ADX signifies an imminent intersection of the positive and negative DMI, which frequently results in a price decrease. The last intersection of both DMIs occurred in May, and by the end of June, the top-ranked cryptocurrency had declined by more than 30 percent. For Morgan Creek CEO Mark Yusko, Bitcoin will still be going strong, even six years from now. 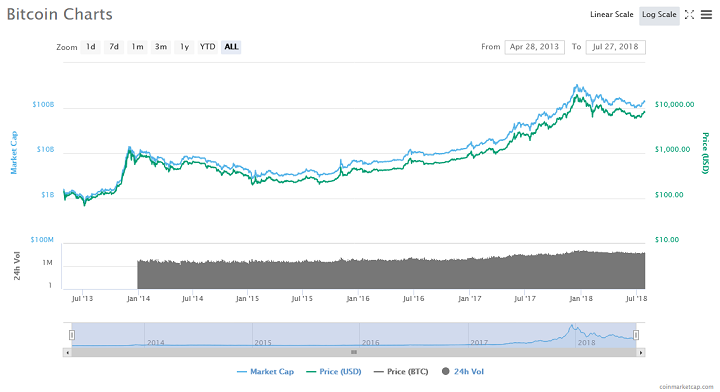 In a tweet from April 2018, Yusko provided a rolling forecast which put the price of Bitcoin at $500,000 by the end of 2024. I don’t think you need a big event, and you’ve seen it in the past couple of weeks, right? As soon as the price starts to run. Those people that have been waiting on the sidelines to make sure that the bear market is over are ready to jump in, and then once it actually starts moving, then it starts moving fast, and that’s when you get those parabolic moves. 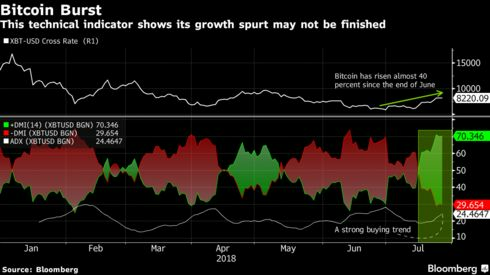 Bitcoin’s logarithmic price growth is well established, and Yusko references it in his defense of the $500,000 price forecast. The Morgan Creek chief says the company also developed a model to estimate the actual value of the Bitcoin network. According to Yusko, this value is based on the hash power of the network, trading volume, and the number of participants. Do you agree with these Bitcoin price projections? Let us know in the comment section below. Image courtesy of Twitter (@APompliano and @MarkYusko), Bloomberg, and CoinMarketCap.com. The post Bitcoin Could Reach $50,000 in 2018 and $500,000 by 2024 — Here’s How appeared first on Bitcoinist.com.